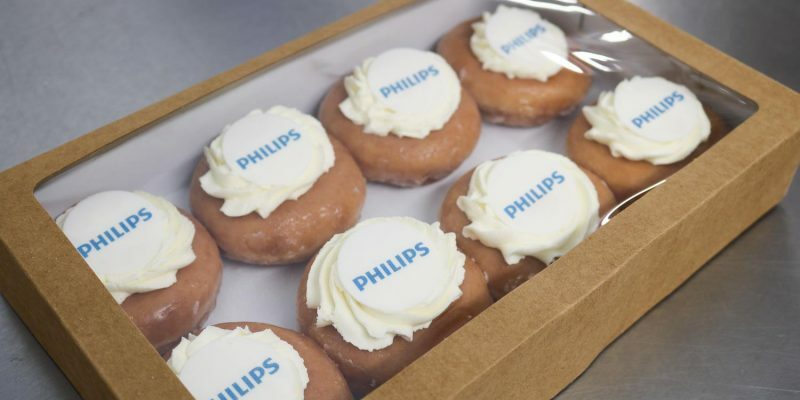 We started with making personalised and customers asked what else we could put their logos on, so after a few trials, we perfected branded doughnuts. We hand deliver all our personalised doughnuts anywhere in the UK, so you have the peace of mind the doughnuts arrive on time and in perfect condition. 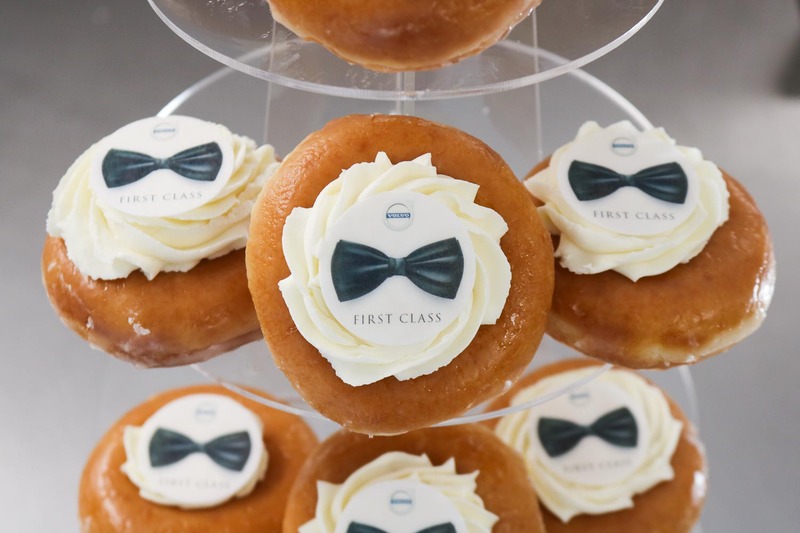 Branded doughnuts are perfect for corporate events giveaways or weddings when you’re looking for a big impact, we can cater for large orders in our wholesale bakery with state of the art equipment. So give us a try. I’m sure you won’t be disappointed. Call us, email us or fill in the simple form and we will respond within 5 minutes. With 24-48 hours, we can turnaround large volume orders. 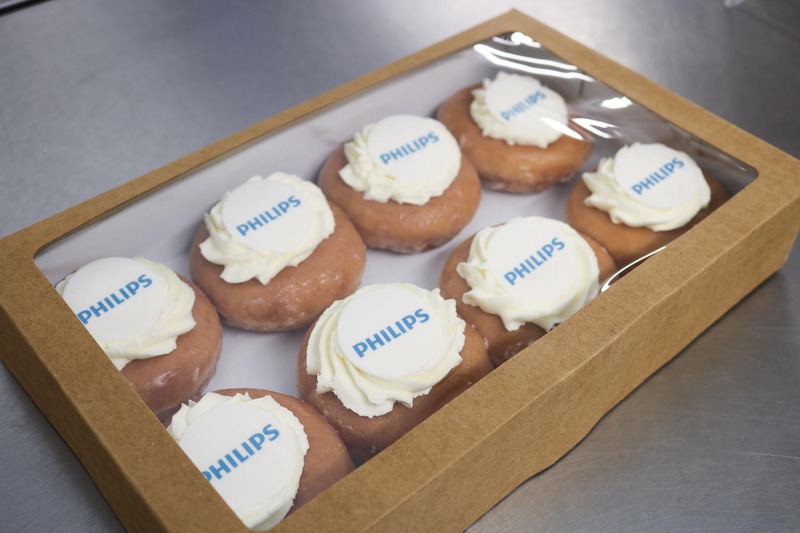 All our branded doughnuts are made the day before delivery. Our personalised doughnuts offer amazing value for money for any event. We hand deliver our corporate doughnuts anywhere in the country. We respond to all quotes within 5 minutes, 24 hours a day. 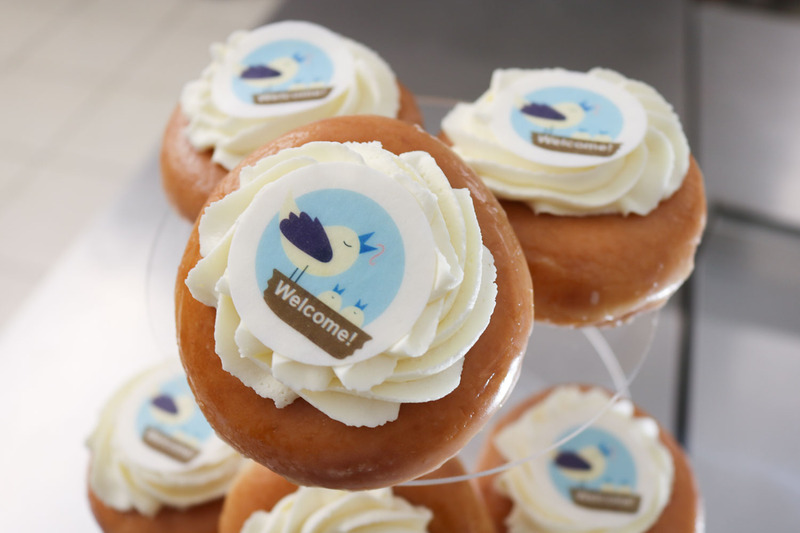 Whether you want premium doughnuts with your logo for a giveaway of a corporate event, we can design them for you. We offer delivery anywhere in the UK with limited notice. Sometimes only 24 hours. Order branded doughnuts for your corporate event, plus you can also choose our other baked goods including our famous branded cupcakes. Choose the date you need your doughnuts by and we will hand deliver them anywhere in the UK. Call us, email or fill in the form to get a quote in 5 minutes. So you can get your personalised doughnut quickly. We hand-deliver all of our doughnuts 24 hours a day, 7 days a week. We also have a brand new Tesla to reduce the impact on the environment.